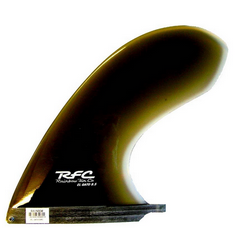 Check out some of our longboard fins made by Rainbow Fin Company. Rainbow was started back in 1968 in Santa Cruz, California, by a group of Santa Cruz surfers who were looking for fins to ride for their own boards and to sell to others in the surfing community. 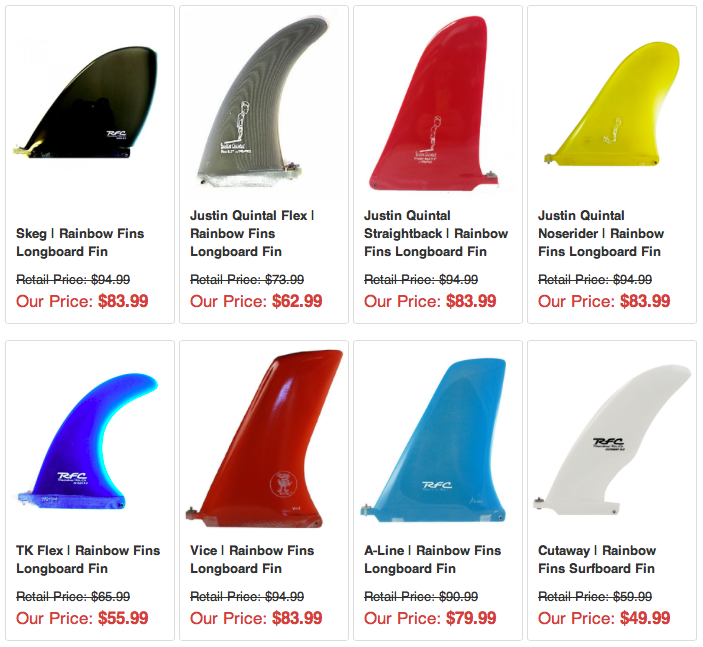 Since then, for over four decades and counting, and through the evolution of fin setups, designs and constructions, Rainbow has been relied on by surfers throughout the country and around the globe to provide them with the perfect fins for any conditions. Whether your go-to is a longboard or shortboard (or a SUP), a single, twin, thruster, quad, or five fin setup, or have FCS or Futures, Rainbow has you and your surfboards covered. 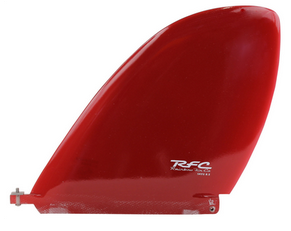 The Skeg fin is truly a vintage fin, considering the first fins used on surfboards were modeled after boat skegs. 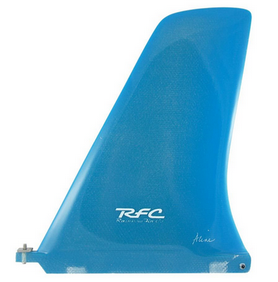 This fin is wide from base to tip, so you won’t have a tight turning radius, but once you set your line, you’ll have maximum hold to get to the nose and hang 10. Perfect for your old school longboard or collectible board. Surf in style and show off surfing’s roots with the Skeg. The A-Line has a similar rectangular shape to that of the Vice and offers similar results. The fin’s wide base and overall wide profile to the tip mean lots of surface area to contact the water and plenty of hold for noseriders. The very little rake in this design also means a better turning radius than otherwise so you can hit that bottom turn and focus on your cross stepping. The Justin Quintal Noserider is the second of Justin Quintal’s more retro fin designs for the traditionalist longboarders whose focus is on noseriding and style (the JQ Straight Back is the first). 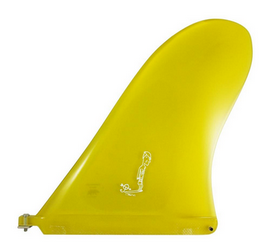 This fin is wide from the base to tip for a surface area superior to that of the Straight Back for even more hold in the water for your noseriding pleasure. All that size for additional hold means you sacrifice some turning radius vs. the Straight Back, but this shouldn’t worry you too much if your focus is on one bottom turn and getting up to the nose.